Raiders were the wolfriding orc warriors that served the Orcish Horde primarily during the First War. As an organization, they were referred to as the Sythegore Arm. Notable raiders in the Sythegore Arm included the first warchief, Blackhand the Destroyer, and his two sons, Rend and Maim. 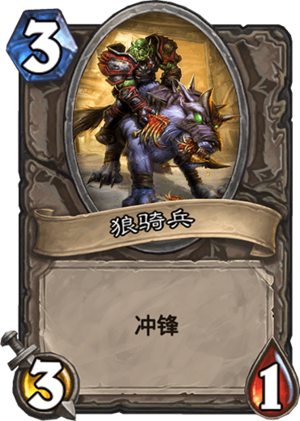 It is unknown whether the Frostwolf clan, also known for their raiders, were a part of the Sythegore Arm or a rival organization. The Frostwolves were exiled by Gul'dan for refusing to submit to demonic corruption. Later, the second orc warchief, Orgrim Doomhammer, ordered that the remaining raiders of the Sythegore Arm disband, fearing they might rally under Rend and Maim and rise against him. The majority of the remaining wolfriders were sent back to Draenor where they ultimately fell under the dominion of Fenris the Hunter and his Thunderlord clan. By the beginning of the Second War, raiders were extremely rare within the ranks of the Orcish Horde. Raiders gained a renewed presence in the world during the Third War under the newest warchief, Thrall. This new generation of wolf riding orc warriors are separate from the raiders of the past, cultivated solely out of Thrall's own clan, the Frostwolves.